I love Mexicanizing things in my home to brighten up the space and fill it with the vibrant colours that really represent Mexico to me. 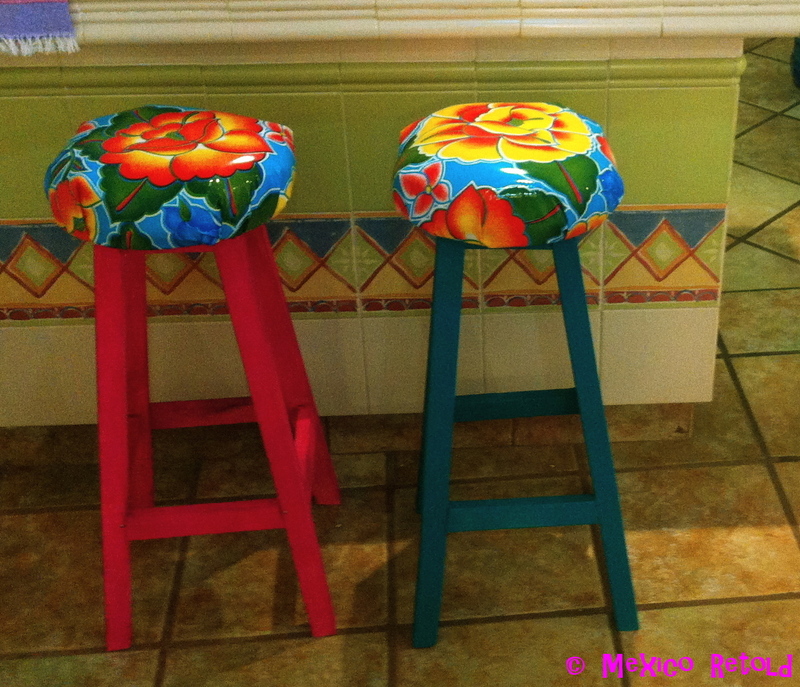 This weekend I embarked on a little project to Mexicanize some simple bar stools using Mexican oil-cloth and a lick of paint. It was super easy and I was pleased with the results, so I thought I would share the ‘how-to guide’ with all you Mexico lovers! 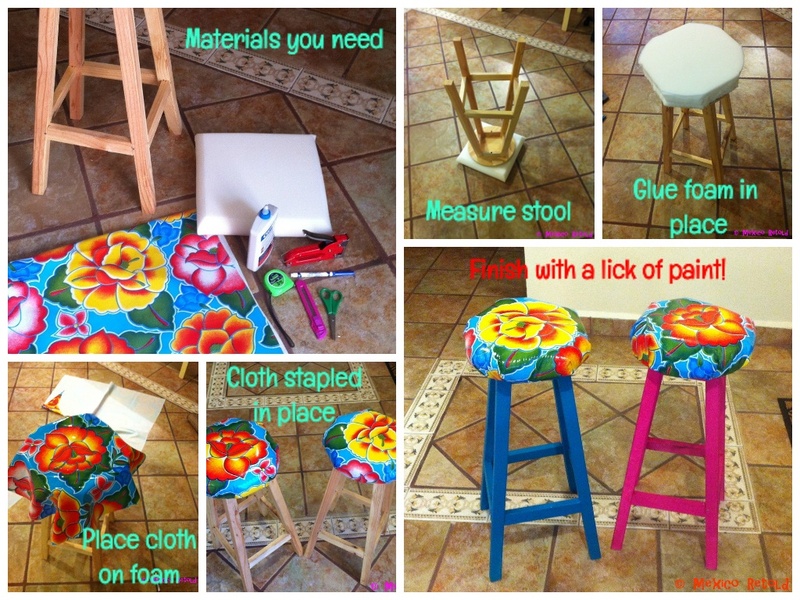 What you will need: One basic wooden bar stool, a piece of foam (at least 1/2 inch wider than the seat of the stool), 1/2 meter Mexican oilcloth*, staple gun, glue, scissors, craft knife, marker pen, paint. 4) Measure roughly 11 centimetres beyond the foam on each side and draw a circle connecting the dots. Don’t worry about being totally precise (this measurement may change depending on the size of your stool and width of your foam- essentially you want the material to reach underneath and to be stapled easily). 8) Pull one side really tight and staple it to the bottom of the stool seat. Then do the same on the opposite side and then the top and the bottom. 10) Test that all the fabric is taught. Any bits that are loose pull the tight and staple. 11)Paint the legs of the stool in the colour of your choice! (You may want to do this prior to making the cushion, especially if you plan to use spray paint). 12) ENJOY your wipe clean Mexicanized bar stool! I do hope the instructions are clear but feel free to contact me with questions and/or queries and I would love to see photos of any Mexicanized bar stools you guys make! Love the vibrant colors. 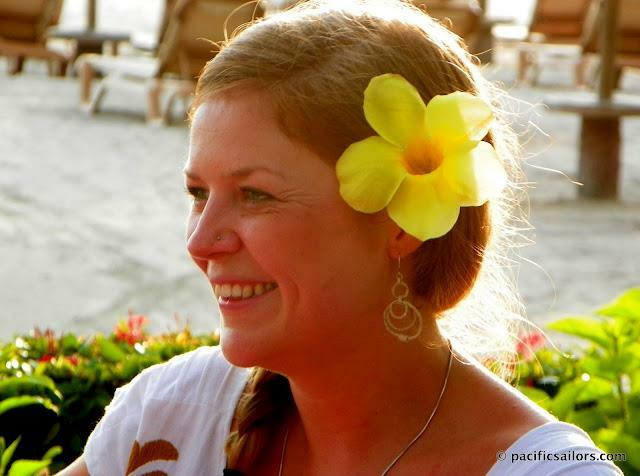 I have made reservations to visit Oaxaca in April 2014; which will be my first solo vacation! Traveling solo is something that I have dreamed of and now it’s going to happen! I will be looking to purchase some of the colorful oil cloth for an unyet identified DYI project. Enjoying wandering through you blog pages. Thanks. How super! Good for you! Oaxaca is so welcoming and lovely. I’m sure you will love it!